Welcome! 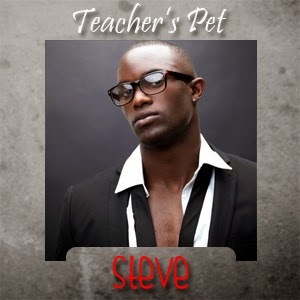 I’m Noony, and my favorite Teacher’s Pet is Steve, the romantic lead in TIGER TIGER. 1. In high school my crush was…? The captain of the debate team. 2. The craziest thing I did in high school was join ROTC (Reserve Officers’ Training Corps). 3. Growing up I wanted to be…? A soldier. 4. On Friday nights you’d have found me… At the beach, by a bonfire with my friends. 5. The hottest teacher at my high school was Mr. Callahan and he taught…? Biology. To win a copy of TIGER TIGER of your very own (or another of our backlist of your choice), tell us: in high school, who was your first crush? Remember, visit the other stops on the hop by clicking the link below. Enter your favorite teacher’s pet at the Nice Girls Writing Naughty blog and be entered in the drawing to win the grand prize. You’re very welcome, Evelise! Thank you for stopping by, and enjoy the rest of the hop! In high school my crush was named Lee! He was in the drama club with me & played in a band. He was kinda dorky, but I always went for the dorks! lol. Thanks, Brandi! I appreciate you taking the time to stop by! Hi, June! Thank you for taking the time to participate in the hop this weekend. I really appreciate it! Thank you for taking the time to stop by and comment during the hop. I really appreciate it! AND, congratulations! My random number generator picked your entry out of the comments; I’ll email you! Thanks for the intro to Steve! Hi, Fedora! Yes, I adored the Outsiders as well. Thank you for taking the time to support us during our hop; I really appreciate it! Thanks for sharing. Just stopping by to congratulate you on completing the A-Z Challenge! I’m making a short pit stop from the A-Z Road Trip!